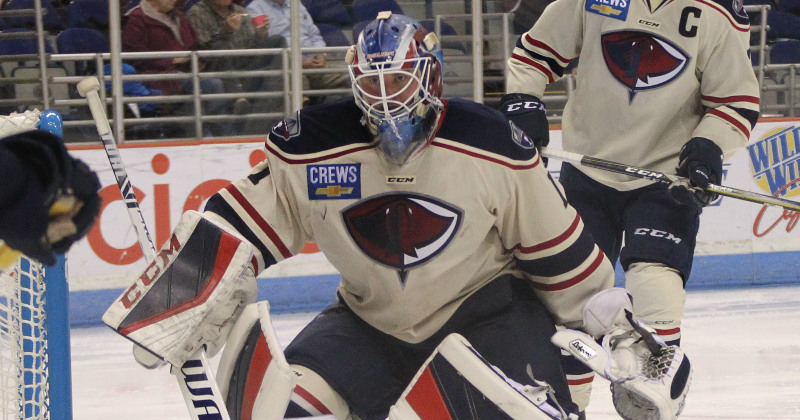 04/11/2019 - The Hershey Bears have announced the recall of goaltender Adam Morrison from the club's ECHL affiliate, the South Carolina Stingrays. Morrison, 28, went 6-5-0-0 with South Carolina this season, posting a 2.87 goals against average and a .902 save percentage with one shutout in 12 games. The netminder returned from a long-term injury on Mar. 9, and won two of his final three starts on the season. Morrison signed an AHL deal with Hershey this summer, returning to the organization after signing a professional tryout and serving as Hershey's third goaltender during the 2017 Calder Cup Playoffs He spent the 2017-18 campaign with the ECHL's Wheeling Nailers, posting a 18-14-2 record in 36 games with a 3.12 goals against average, a .905 save percentage, and one shutout. The 6-foot-3, 194-pound netminder has appeared in 158 career ECHL games with Utah, South Carolina, Reading, Fort Wayne, Greenville, Rapid City, and Wheeling posting a 73-59-18 record with a 2.85 goals against average, .909 save percentage, and 10 shutouts. In 2014-15 with South Carolina, Morrison, along with teammate Jeff Jakaitis, set an ECHL record with the most collective shutouts in a season with 11. Morrison has appeared in two career AHL games, both with the Providence Bruins. The White Rock, British Columbia native was originally a 3rd round selection of the Philadelphia Flyers in the 2009 NHL Draft. The Bears return to action on Friday in Hartford for a 7:15 puck drop at the XL Center. The game may be heard on the Bears Radio Network and viewed on AHLTV.